I went away from Ahmedabad, and looks like the whole of the city has taken to smoking hookah. I am only kidding, but with around 100 hookah places which have come up in the last six months, no wonder the city has taken to smoking chillum like never before. The reason, as I would like it to be, isn’t my parting (people do miss me though :P) but the uplifting of the ban on shisha, as hookah are fondly called here. 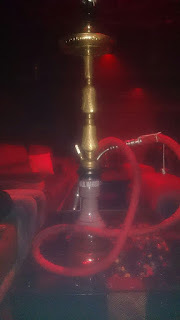 Although there is a tug of war regarding who invented the hookah amongst countries like India, Persia and a few others, I would definitely want to believe that it was founded in India at the court of the Mughal emperor Akbar I, by physician Irfan Shaikh, according to Cyril Elgood -a British physician and historian of medicine. 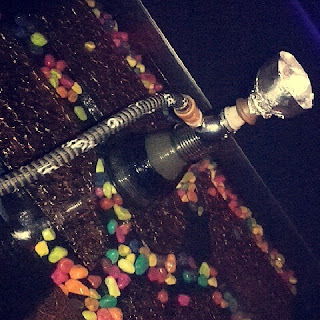 Hookah, since ages has been very popular in the Middle East and Arab countries. 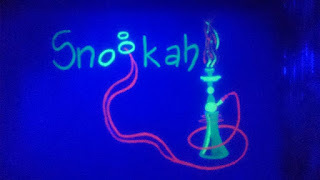 Hookah has many different names all over the world. ‘Narghile’ is from the Persian word nārgil, or "coconut", as the bowl of hookah was made out of coconut shells in olden days. ‘Shisha’ is also a Persian word from shishe (glass). It is also referred to as Chillum in some Arab countries. Hookah is popular all over the world these days; though in the olden times it was famous among the royals and the upper class as it signified as a status symbol. These days, hookah is more of a social smoking thing. It is loved not only by youngsters but people of all age groups. Some of my friends in Ahmedabad take great pride in their hookah preparing skills. It is more popular in Ahmedabad than here in Mumbai as people have time to prepare it with patience and smoke it in peace. The hookah cafes in Ahmedabad are fast gaining popularity as one can sit and enjoy with friends in an otherwise dry state, offering lesser options for a nightlife. The eager-to-try-new Ahmedabadis have made a few places like Elysium, Bedazzle, Burnout, Richie Rich, Lucifer and Sziszaa’s their hangout hookah places in no time. Besides hookah places, snooker parlours are also equally famous. The ‘kitli culture’ of Ahmedabad certifies the fact that budding entrepreneurs here make quick business deals over a cutting chai. The modern version of kitli is a snooker lounge – the youngsters prefer playing snooker while discussing business these days – but the sharp business acumen remains the same. Snooker plus hookah also means lots of college students’ frolicking the place. Who wouldn’t want to visit a place offering both of these things? 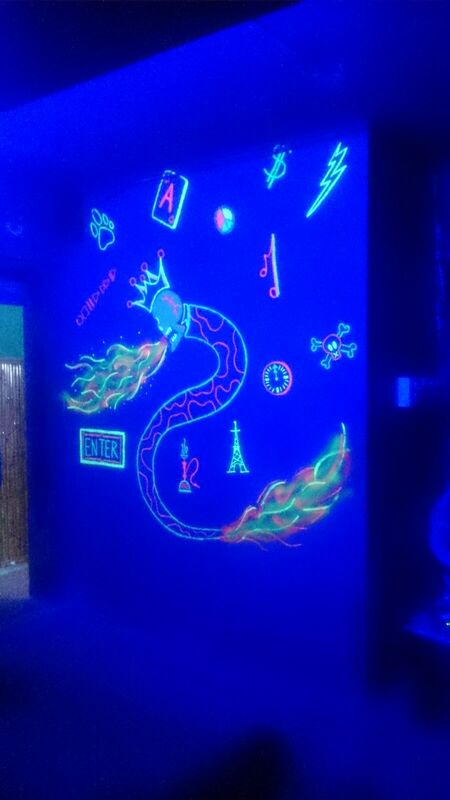 ‘Micro Snookah’, aptly named, offers both hookah and snooker in the heart of the city of Ahmedabad. The second hookah lounge after the very popular ‘Arabian Nights Café and Sheesha Lounge’, by ‘Parth Goswami’ offers amazing flavours of hookah. Amazing music, enchanting interior and lounges designed to help you relax as you chill out with friends or your loved one; this is the place to head out to on those chilly winter nights. With tantalizing mocktail’s and a sultry ambience, this place is bound to make your evening a memorable one. Visit 'Micro Snookah' for a fun evening! So are you all ready for a hookah quiz? Send your answers by 13th of February, 2016. Two of the best answers will get INR 500/- off on the total bill from Micro Snookah. Send your answers on tvara129@gmail.com or in the comments section.